Priceline for car rentals – You are in the midst of making all the arrangements for your next great adventure and it’s time to finalize your transportation and arrange for a rental car. Although people have been using Priceline’s Name Your Own Price function for years to find great deals on flights, many of us don’t think to do the same for our car rental reservations or don’t feel confident that we can name our own price without missing something and ending up with a non-refundable reservation that isn’t what we needed. Because the discounts Priceline offers through this program can result in a significant cost savings, it is an excellent way to get more for your travel budget. To help make sure you do, here are ten tips for using Priceline for car rentals. Part of their standard reservation process without the restrictions and limitations associated with naming your own price. Start out by checking Priceline’s regular price and work out your optimal car rental scenario including what locations you are willing to accept for pick-up/drop-off, times, the number of days you need the car, and the type of car you want. You might find a price that meets your budget without having to worry about restrictions. Make sure you understand what the different categories of cars offer in terms of amenities and capacity, both for passengers and luggage. Some brands “economy” category cars don’t have radios and the passenger seating availability in one company’s mid-size might be different than that of another company. 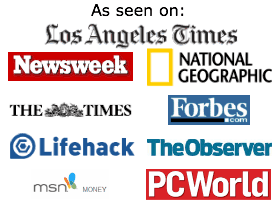 Check prices offered at the national brands websites and other consolidated travel websites like Travelocity. This will give you a good idea of the average price for the exact rental you need, ensure you are comparing apples to apples to apples, and help you pick the right bid amount when you are ready to bid. While researching standard pricing, make sure you are accounting for differences in weekend rates versus weekday rates versus full week rental rates. Picking the right rental period may result in additional cost savings and is a key piece of information you will need to name your own price. If you are flying into a major airport, it may be worth it to check into the rates available if you pick-up and drop-off at a city location rather than the airport. Although you will have to arrange for transportation from the airport to the pickup location and it may not be as convenient, it might save you enough money to make the extra hassle and the cost of a cab more than worthwhile. As you get ready to make your bid, write out all the details of what you need to ensure you are getting the exact reservation your vacation plans require. 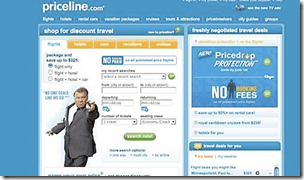 Remember that Priceline’s name your own price program has severe restrictions around changes, cancellations, and refunds. Taking a minute to plan out your bid before you commit to anything will help ensure you don’t inadvertently pick the wrong vehicle type or arrival date and end up paying more than you bargained for. Set your initial bid for 20-30% lower than the best price you found during your standard rate research. You can also check on Priceline to see the most recent winning bids for reservations similar to the ones you are trying to make. Use this information to validate your bid price and adjust up or down if needed. The cost of taxes and fees will be shown as part of your total bid before you finalize and lock yourself into purchasing. Make sure you review this confirmation carefully and understand the full cost you will incur if your bid is accepted. In order to get the most benefit out of the discounts Priceline can offer on car rentals while also averting any unintended costs or consequences, it is important to remember that the discounts are available because of the strict rules Priceline imposes on name your own price reservations. Lastly, be sure to read Priceline’s policy on delayed/cancelled/rescheduled flights so you know what you need to do in the event you find yourself in one of these situations. If your flight is delayed or cancelled and then rescheduled, your reservations will be held for 24 hours and extended by one day. If your flight is cancelled and you will not be taking a rescheduled flight, you will need to contact Priceline’s customer support team to determine what options you have based on your specific circumstances. When it comes to car rentals, using Priceline to find the right reservation at the right price can save you a significant amount of money but you need to be prepared and informed in order to get the rental car you need at the best price available. The extra time and effort you put in may help you save enough money to splurge on sampling the local cuisine or taking a once-in-a-lifetime adventure while you are away from home. The very best travel coupons that you’ll find on the internet are car rental coupon codes. I have been able to use some sort of car rental coupon every single time I’ve had to rent a car; whereas it’s a rarer occasion when I’ve used a coupon for airfare or hotel. This post first provides a list of car rental coupon codes and then goes through the best method for getting a good deal on a rental car. Like with airlines – which may have hubs in some places and thus be cheaper – car rental companies may have “hubs” in certain cities. Because of this, there is no reason to have any loyalty to a particular car rental company based on price. You may be loyal to one company based on customer service or something else, but you shouldn’t think that one company always has the best price. I like to start with a search on a travel search aggregate like Kayak and see what companies are coming up with the best price in the area I’m visiting. Once you’ve determined which car rental company or companies are offering the best prices for your location or dates, look for coupons for those particular companies. We will regularly update this page (so bookmark it) with coupons we have available, but sometimes the coupons are listed directly on the company’s site. You can also Google “(name of company) car rental coupon code” to see what turns up. Finally, some auto service clubs, insurance agencies, schools, and other affiliation groups or clubs may offer discounts. Watch for any offers through promotions you get from those clubs and companies. For instance, I get discounts through USAA, my insurance company, as well as my Amex card, and an alumni association I’m a part of. Avis Preferred Service is completely free to sign up for (and well worth it because you don’t have to wait in line) Hertz also has a #1 Gold program that offers similar benefits. I was able to get into the Hertz program for free with my Amex card. Unless you’re an extremely frequent car rental (which hopefully you’re not as it’s not the greenest of transportation options) it’s probably only worth it to sign up for these preferred car rental clubs if it’s free to sign up. Use these tips for using Priceline for car rentals and save every time you travel. Be sure to check out our other travel coupons posts for more great coupon codes. Save on car rentals every time you travel. Green Car Rental Hacks – Regardless of what you drive at home, renting an eco-friendly car while traveling is a great way to travel green. These days, many rental car companies are making significant efforts to add hybrids, electric cars, and other fuel-efficient vehicles to their fleets. Whether you’re traveling for business or pleasure, you’ll appreciate these tips for a green car rental. The EPA’s Green Vehicle Guide scores vehicles on a scale of 1 to 10 based on air pollution and greenhouse gas emission. The vehicles that receive a better than average score in both are designated as SmartWay certified. So, in comparison to the other vehicles on the market, these are the most environmentally friendly vehicles. SmartWay Elite status is given to the vehicles that get the highest scores in both categories. All SmartWay certified vehicles are listed in the EPA’s Green Vehicle Guide. Before you rent, you can check to see how your rental car ranks. Many rental car companies will let you know which cars in their fleet have this EPA certification, making choosing a green rental car even easier! Between the extra legroom and the added truck space, it can be tempting to go for that upgrade at the car rental counter. But resist if you can. Smaller cars are typically much more fuel-efficient, making them more environmentally friendly. In fact, 100% of the cars in Budget’s economy, compact, and intermediate categories are SmartWay certified. Plus, you’ll save money on the rental fee and at the pump! Most large car rental companies in the United States (like Avis) now offer hybrids. But it’s best to book early since they’re considered specialty vehicles. The downside is that the actual car rental is more expensive, but the gas savings can help make up for the difference in price. A few years ago, it was difficult to find companies to that offered hybrids. Thankfully, now you can search for “green cars” on sites like Travelocity, which makes it easier to find a hybrid rental. Especially when you book early! A few rental car companies that specialize in renting eco-friendly cars are starting to pop up around the country. eQocar in Burbank, California rents only hybrid vehicles. They have an impressive range of compact cars, luxury vehicles, and even SUVs. 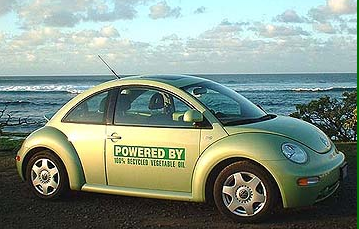 Bio-Beetle in Maui, Hawaii offers cars that use bio-diesel. Their most popular car is a Volkswagen Beetle. Traveling to Key West? Check out Conch Electric Cars for a selection of electric cars for sightseeing in the Florida Keys. Green car rental is easy when you find a company that specializes in it. Zipcar is a car-sharing program in bigger cities and on college campuses across the North America and the UK. My husband and I joined in Boston and we’re able to rent cars by the hour when we need them. If you live in a city that has Zipcar, it’s a great alternative to owning a vehicle. While Zipcar is not necessarily an option while traveling since it only works in the city where you live, it can be a great option if you need to rent a car for a staycation or a day trip. Zipcar offers a variety of hybrid vehicles to choose from. If you were thinking about renting a car this summer, you might find that if you look over the itinerary you really don’t need to after all. Many cities offer effective public transportation and walking is a great way to explore a new area. Have you rented an eco-friendly car on vacation? What are your tips for a green car rental? There are many things to consider when renting a car in Europe. You have to ensure that the car that you are renting is fuel-efficient. This will save you a lot of money on gas. Also, you have to make sure that you have the necessary insurance for the rental car. One of the best ways to save money is to get a small car that runs on diesel. Firstly, a small car will have a smaller engine. Small engines usually deliver great fuel mileage. You will find it easier to get around if you have a smaller car. One of the best things about getting a small car with a diesel engine is the fuel cost. Small engines give a good mileage to begin with. Also, a diesel engine will give you better mileage than a petrol engine. Moreover, you are more likely to find a car with a diesel engine in Europe for a good price. This will save you a hefty amount of money. You will save fuel since the small car is more likely to travel in high gears. If you want to rent a good car which will prove convenient, you should book the car in advance. Renowned car rental companies allow you to make advance bookings online, even if you are coming in from a different continent. Make the booking before you board the flight. However, you should call and confirm your booking in addition to the online booking. When you rent a car from any car rental service, you should make sure you carry a Green Card. This is a document that is paired along with each and every rental car. If your rental vehicle does not have this document, be sure to ask for it as it is extremely essential. This document will need to be produced in the event you are stopped by the authorities. You may even need to produce the document if you travel to a different European country. In the event of an accident, the Green Card becomes an absolute necessity. Only when you have all the necessary documentation should you drive away with the rented car. Good Travel Insurance Should Cover Financial Loss or Medical Expenses. One important thing to consider before you leave with the car is the safety equipment. There are quite a few essentials that you will need on the road. The first and foremost is a spare wheel, lifting jack and a safety triangle. Always check the car that you have rented for this equipment. If the equipment is not there, you should ask the company to provide it. In addition, you should verify the type of fuel the car runs on. If you specified a diesel vehicle or a gas vehicle, make sure that service provides the same car to you. You may end up stranded if you end up using the wrong fuel in the car. Another thing that you have to check before driving off is the car controls. European cars often have different controls. Make sure you understand where all the controls and knobs are before you drive off. A great idea is to take a test drive to see if the car feels right. Another aspect that will greatly affect the rental price is the pickup location. If possible, you should consider visiting the car rental service outlet to collect the car. This proves to be the cheapest option as you will not be charged extra for a pickup. You will be charged an extra amount if you have the car transported to the airport. If you have to have the car transported to a particular location, you can always do so in a small town. Any car you pick up in a big city will cost you a hefty amount. There is convenience to consider. If you drive off the airport to a location, you will not encounter much traffic. However, if you pick up the car from within a town, you will have to account for traffic. You may end up being stuck in traffic. It may be a good idea to pay a little extra money and beat the traffic. If you want to rent a car, you should consider doing so during the off-season. This is because the rates charged by car rental services are high during the peak seasons. You can always book the car a couple of days in advance and make sure you can beat the holiday price. In fact, if you want to rent a car at the last minute, you might not be able to find any. During the seasons, rental car services are overbooked and they usually do not have cars available. As soon as you have your air tickets confirmed, you should consider reserving a car for yourself to the European destination you are travelling it. You should make online reservations and then confirm them over the phone to avoid any inconvenience. Gas prices in Europe are high. This is one reason you should consider going for the most fuel-efficient car possible. The tax rates in Europe are quite high. This directly affects the gas prices there. You will find a substantial difference between the gas and diesel prices in Europe as compared to other continents. Renting a fuel-efficient car will ensure you don’t have to spend too much on fuel. When you rent a car in Europe, you have to make sure that you do not rent a large car. Part of the reason is the roads in Europe. However, you also have to consider the gas mileage. Larger cars consume more gas which will prove to be very expensive. This is why you should make it a point to rent the most fuel-efficient car possible. Use these tips when renting a car in Europe and you will be able to save a considerable sum of money. Green Rental Car Hybrid – Visiting new places is exciting. There’s so much to see and do, and so many memories to be made. With itineraries to create and hotel reservations to make, it’s easy to overlook the environment. However, many companies are making it easier to be eco-friendly while on the go. Resorts are catering to a green conscious public, and people can be even more environmentally responsible by renting a green car. If you are looking where to rent a hybrid rental car in the United States, it might pose a bit of a challenge. Though it is getting easier with each year, it is not as easy as one would expect in this day and age. An environmentally-friendly rental car isn’t a given unless you seek one out. But most of the big car rental companies are currently working on stocking hybrids, but there are still few that do. The majority of drivers still stick with the gas-powered car for their everyday transportation. Vacation provides an opportunity to try out a car that’s powered by a different source. Whether it’s bio-diesel, hybrid or electric, these cars take advantage of the latest technological developments to deliver performance that is efficient while also helping to preserve the environment. Think of an eco-friendly car rental as a chance to enjoy an extended test drive. Many people have chosen a green car after experiencing how wonderful it is to avoid frequent, expensive trips to the gas station. It’s getting easier and more convenient to rent green cars. Many of the major rental car companies in the U.S. now offer green options. Independent rental car companies are springing up that boast fleets that are exclusively powered by alternative fuel. Perhaps the simplest way to begin the search for a green car rental is to look online. Big rental car companies that have an environmental initiative in place are usually vocal about their practices. Travelers wanting even more variety might consider conducting an Internet search for their destination that specifically references environmentally friendly car rentals. Many of these smaller, independent companies are a bit more difficult to find, but their personalized services and expanded fleets of environmentally responsible vehicles makes them worth seeking out. The larger car rental companies have recognized a definite trend as far as consumer demand for green cars. That’s why they’ve shown themselves willing to add eco-friendly choices to their automobile lineup. However, consumers should read the fine print and proceed with caution when renting a car. Many automobiles that are part of a green car rental initiative do rely on alternative fuels, while others are merely recognized for providing excellent fuel efficiency. Either vehicle is a good option, but the traveler who is determined to be as green as possible may want to double check that they have chosen a true electric or bio-diesel vehicle instead of one that’s just more efficient. Some travelers haven’t quite gotten on the green rental car hybrid bandwagon yet. It’s not unusual for a tourist to choose a high powered sports car or an SUV when they are far from home. While these cars certainly are fun to drive, they can have a significant environmental impact, especially if travelers plan to do quite a bit of driving during their stay. Vehicles like these emit a lot of greenhouse gases and contribute to the amount of atmospheric pollution. When it comes to deciding whether or not to go with a green car, drivers might consider that some cities that have a significant smog problem might ask people to restrict driving at certain times. Choosing a green rental car hybrid allows the tourist to continue their sightseeing without worrying about contributing to a particularly smoggy day. Renting a green car can also help travelers save money. Some rental car companies do charge a bit more for choosing an environmentally friendly car. However, most people who go this route discover that they more than make up for the extra cost in fuel savings. In addition to saving gas money, alternative fuel cars can also provide peace of mind. While driving through unfamiliar territory where gas stations may be few and far between, the driver of the alternative fuel vehicle doesn’t have to worry. They usually have more than enough “fuel” to get them where they are going. People traveling for business may also derive benefits from choosing a green rental car. When trying to impress a client or other new business associate, being perceived as environmentally responsible may be particularly desirable. Some companies only like to do business with organizations that are trying to make a difference in the world. Demonstrating concern for the environment through a green car rental is a wonderful, real world way for a company to show where their heart is. Many cars that are included in green car rental initiatives are certified SmartWay vehicles. SmartWay is a U.S. Environmental Protection Agency (EPA) program that is aimed at improving fuel efficiency in all vehicles and reducing air pollution and greenhouse gas emissions at the same time. Since the program’s inception in 2004, many vehicles have received the SmartWay certification. Some of these are true hybrids or rely solely on some kind of alternative fuel source. However, SmartWay cars may also be gas powered vehicles that are more fuel efficient and environmentally friendly than other cars. Each year the EPA establishes new guidelines and reviews the latest models from all major auto manufacturers. A traveler who is having difficulty finding a car rental company at their destination that has a green car initiative might consider renting one of the models that has received the SmartWay certification. This way, the tourist can still travel as green as possible. Environmentally friendly car rentals are becoming a hot trend in places where eco-tourism is popular. Diverse destinations like Costa Rica, Kenya and the Norwegian Fjords attract thousands of visitors each year. These travelers long to see pristine natural beauty, and to do so in as responsible a way as possible. Choosing green transportation options is just one way to make eco-tourism more planet-conscious than ever. To make their trip even more environmentally responsible, many tourists are choosing to rent a car for only a portion of their trip while relying on public transit, bicycles and their feet for the duration of their stay. Travelers might also want to take a look at their car rental company’s practices before choosing which one to go with. From the smallest electrically powered car to the largest gas guzzling SUV, car rental agencies have a huge fleet to maintain. That means endless rounds of repairs and cleaning to keep each vehicle operating at top efficiency. Many rental companies have completely revolutionized the way they do business on a day-to-day basis, opting for biodegradable, non-toxic cleaners and using recycled materials whenever possible. They’ve updated how they maintain their vehicles, making their practices far more environmentally friendly than they were before. That commitment to the environment also reaches into the office at some rental car companies. Administration might have decided to go paperless, and they may have an extensive recycling program in place. Maybe they encourage employees to carpool, take public transit or opt for reusable shopping bags. Renting from companies like these shows an even greater commitment to keeping the earth healthy. Whether traveling for business or pleasure, anyone can make choices that contribute to sustainability or could be detrimental to the environment. Travelers can feel good about renting a green car, knowing that they are taking active steps to improve the planet. They are making a choice that’s better for them and their family. They are also choosing to reduce the world’s dependence on fossil fuels and actively trying to reduce their carbon footprint. No matter what kind of car is rented, travelers can also take steps to ensure that their driving habits are as green as possible. Believe it or not, simply being a patient driver can seriously reduce pollution rates. Driving aggressively and stomping on the gas pedal emit far more carbon monoxide than slow and steady driving. Some experts recommend using cruise control whenever possible, as this helps even out the demands on the car’s systems. Additionally, sticking to the speed limit can significantly improve fuel economy. Even using a GPS can unit can make a difference. GPS helps drivers find the quickest route to their destination. Moreover, it can provide drivers with alternate routes to help them avoid congestion that only promotes bad air quality. It may even be beneficial to try opening some windows instead of using the air conditioner. Air conditioning units tend to hurt fuel efficiency and emit harmful nitrogen oxide. Limiting idling time and choosing not to warm up a car on cold mornings can also prevent greenhouse gas emissions. Green Rental Car Hybrid rentals are becoming more widely available in all corners of the world. It’s not unusual for U.S. car rental agencies to offer energy efficient cars, many of which run on alternative fuel sources. However, agencies tend to only have a limited number of alternative fuel cars available. This makes it imperative for drivers to make reservations well in advance of their travel dates. If an alternative fuel car is unavailable, drivers can still be environmentally conscious by choosing a car model that has received SmartWay certification or selecting a rental company that follows certain green operating practices. It pays to be green these days. Climate change issues aside, the cost of fuel alone makes you want to choke at the pump. Sure it’s nice to be there humming and saving in your electric car you just unplugged, but what if you want to be able to unleash 6.2 liters of V8 and 550 plus horsepower? Maybe there’s a bit of ego involved, but some people really enjoy driving and appreciate the experience a well engineered machine provides to its pilot. Is there a middle ground here? You love eco-friendly cars but you love speed too. Green or mean… or both? Even though we might not like to think about it, environmental concerns are real. Cars use up fossil fuels and spit out carbon monoxide which accelerates global warming. Being a car enthusiast doesn’t mean that you don’t care. Some shout that we should go for the best fuel efficiency possible, and the automakers have not turned a deaf ear. On the contrary, some of these green models have taken a place among the centerpieces of many automotive lines. Green Car Journal’s Green Car of the Year contender, the Toyota Prius V Hybrid, for example, is a petrol-electric hybrid. Nearly single handedly, this baby catapulted Toyota to the top spot among car makers and made a big difference in the company weathering the economic storm of 2008-2009. There is huge consumer interest in this car so Toyota puts a big chunk of R&D resources here all for under family car money. It’s what the environmentally minded driver demands. Save cash at the pump and save the planet? Sure, with these cars you can do both. Despite surging fuel prices, the car lover lives – and, therefore, so does the muscle car. Maybe you prefer to drive well into triple digits. Digits like 200-mph and 650-bhp, that is, as offered by the impressive Ford Shelby GT500. There is no mistaking what’s going on under the bonnet here. This beast is for the driver who just wants to drive. This isn’t about commuting or heading out to buy groceries, but it is about the throaty roar and the pull you feel from all those horses pushing you toward the horizon. Then, in perhaps the ultimate expression of indulgence you could slide into the Aston Martin One-77. Let’s let the numbers do the talking: only 77 to be made, 750-bhp, 7.3 litre, V12 and a cool £1.2 million (or $1.5-2 million) sticker. Running costs are likely to be high; to just replace a tyre may cost the same as many economical small estates. There are convincing arguments on both sides. The green camp would cite that the environmental concerns alone are reason enough for eco friendliness to drive design and choice. The enthusiast would counter that with stricter emissions regulations and high fuel prices the performance car is also making strides in environmental consciousness. Take the new Mustang which has a 305-bhp V6. It maintains the muscle car feel, and it gets a respectable 31 mpg thanks to better valve operation and timing adjustments. There are many science and technology centers as well as national parks, etc. that are displaying information about eco-friendly cars so even kids can learn about how important they are. Even though green technology can be found trickling down to many conventional models, very few drivers want to go puttering along at a snail’s pace. Performance matters to everyone. But where do you draw the line? For the time being it appears that there are still choices, especially as more companies come on board with eco-friendly cars. Hopefully the technological advancements will reach the point where someday we can grip the wheel of a muscular machine that goes fast and far on only a few drops of fuel. Cars using electricity instead of petroleum is definitely an attractive invention. Though the presence of electric cars has been there since many years now, people are still concerned about deciding whether they should go for it and buying electric cars or a conventional one. If you are having a similar confusion, then knowing the pros and cons of electric cars can help you finalize your decision. It provides you a much smoother, quick, and quite ride as compared to the car using engine powered by petroleum. The most surprising factor of an electric car is its high torque. The higher the torque is, the better is its axle twisting power. Who likes going to the gas station repeatedly? And if you have an electric car, then set your fueling worries aside! Since you can recharge this vehicle at home, you can save a lot of time. Recharging your electric car in a driveway or your garage means that you can drive it to eighty to one-hundred miles. This is a lot for everyone, except those who need to commute long distances. In various regions, electricity is said to be cheap and ubiquitous. This gives the dwellers a huge advantage in terms of cost. So, in countries where the petroleum prices are very high, electric cars can be the best alternate. Secondly, electric cars do not require oil changes, which keep maintenance costs away. Still, not all vehicle manufacturers have tapped into the market of electric cars. However, within a couple of years, it is predicted that an increasing number of automobile companies will show serious interest in producing electric cars. This is great news for electric car lovers! Those driving electric cars often complain about their range anxiety. So, when it comes to driving through long miles, these cars will not deliver you more than 100 miles. However, the cost as well as range of batteries used within electric cars is said to be improving. The limited range issue is linked with the refueling concern of electric cars. Since refueling an electric car takes a lot of time, many people prefer taking their petroleum car to the gas station. For some people, initial costs matter a lot. Having high cost of purchase, electric cars are said to be more expensive. No matter how luxurious an electric car from a popular automobile company is, the designs and styles of electric cars are rare. This makes many people out of choice. So, these were the pros and cons of electric cars. Since the industry of these eco-friendly vehicles is seeing growth in terms of consumer preference as well as technology, there are high chances that the newer models of electric cars will contribute positively in terms of increasing the market share of companies producing and selling them. Have you heard of Low Emission Zones (LEZs)? It stands for Low Emission Zones. Travelers should also be aware that in Europe there are many countries that have instituted Low Emission Zones. Low emission vehicles are not always readily available for rental especially when traveling abroad. Common in London and other congested areas abroad, Low Emission Zones are areas that the government tries to protect by regulating the types of vehicles that can access and use that area. If a vehicle has a higher emission output, it cannot enter the area. In some LEZ areas, the offending vehicles have to pay to access it. The goal is to improve the air quality of the area. The industry’s move toward greener alternatives has been stifled by the downturn in the economy, the concern being that travelers may not be willing to pay a premium for this service. For many of us, the desire to have a less negative impact on the environment outweighs the additional cost when considering that it makes up a relatively small fraction of the amount that a family would normally spend on a vacation. Although the travel industry has been slow to respond to the needs of its more forward thinking customers, advances are being made in the area of hybrid car rental. Because hybrid car rental is being actively sought by consumers, car rental companies and travel brokers are working to make it more accessible. Renting an electric or hybrid car can also be a good opportunity for a test drive before making a final purchase. Toyota and Honda have worked diligently to market their hybrids as status symbols, and in most markets this means maintaining exclusivity to enforce that type of branding. In some regions (surprisingly enough: Japan) there are waiting lists over six months to get your hands on a Prius. So, while you wait, why not try one? Travelers renting for several weeks and driving for long distances may also benefit from the fuel economy of a hybrid fleet. Driving a hybrid rental car can be exceptionally helpful when driving in these zones. Low Emission Zones are in effect in the UK, the Netherlands, Germany, Denmark, Sweden, the Czech Republic and Austria, with more being added all the time. Low Emission Zones are not country wide, they are centered around major metropolitan areas. Ignorance of the rules will not save you from being penalized. Make sure you do the research before you travel. A low emission or electric vehicle could exempt you from any fees, which is another reason to rent a green car. The rules for Low Emission Zones are not standard throughout the EU. Different fees and standards apply to each. It is important to learn what you can about Low Emission Zones (LEZs) in advance of your trip so you can plan accordingly. Know what to expect, and avoid penalties. As I navigated the world of carbon offsets, I learned that they are even more complicated than I could have imagined. Here are the 12 lessons I’ve learned about carbon offsets that any traveler, especially a green traveler, should know. The idea is this: in return for your actions that harm the environment, you give money to a program that will improve the environment by an equal amount. A credit for negating or diminishing the impact of emitting a ton of carbon dioxide by paying someone else to absorb or avoid the release of a ton of CO2 elsewhere. Some people love carbon offsets, but many despise them. As you read more you’ll understand why. The bottom line is there’s very little accountability for companies offering carbon offsets. The company could be taking 80% of your donation for “operating costs” and just giving the leftover 20% to a non-profit. These projects, in theory, give back to the environment to offset the amount of damage you have done. For example, the project you give money to may go toward providing solar panel roofs to households in India. The UN’s Intergovernmental Panel on Climate Change found a margin of error of 10% with measuring emissions from making cement or fertiliser; 60% with the oil, gas and coal industries; and 100% with some agricultural processes. Measuring emissions from aircraft is especially fraught with disagreement about what exactly should be measured and aggravated by variations in each flight’s height, cargo load and weather conditions. When TuftsUniversity in Maine analysed offsetting websites, it found emissions for flights between Boston and Frankfurt being calculated at anything between 1.43 tonnes and 4.14 tonnes. The amount you pay to offset your carbon varies substantially based on the carbon offsetting organization you choose. 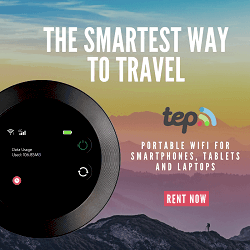 For example, according to TravelPost, for a trip from New York City to Los Angeles you could pay anywhere from $4.69 to $42.92 in offset fees. Organizations that offer carbon offsets are not exclusively non-profits. In fact, only 6 of 21 carbon offsets providers listed at EcobusinessLinks are non-profit companies. The range of projects that carbon offsets fund ranges from planting trees to providing wind power to distributing energy efficient light bulbs. You should take the type of project into consideration before choosing a carbon offset organization. Many of the carbon offsetting organizations allow you to choose which project you want to fund. Others don’t, so do your research before committing. This may come as a surprise to you as it did to me. The outcome of planting trees is still unknown. You should look for projects that make a difference now, and not 40 or 50 years from now. Although protecting forests is very important, protecting them so they absorb carbon is an iffy proposition. We know little about how forests store carbon in the long run, especially with the predicted climatic changes. By all means, donate money to organizations that help protect forests but for carbon offsets, invest in projects that help us transition away from fossil fuels, such as energy efficiency and renewable energy projects. When you choose a project you should look for one that would not occur naturally, without the organization’s assistance. One of the biggest UK offsetters, Climate Care, which is used by the Guardian, distributed 10,000 energy-efficient light bulbs in a South African township; offered the carbon reductions as offsets; and then discovered that an energy company was distributing the same kind of light bulbs free to masses of customers, including their township, so the reduction would have happened anyway. The Gold Standard is the strictest standard around. Look for offset providers that adhere to it. So if energy isn’t your thing, this label probably won’t help you. Just because you buy carbon offsets doesn’t mean that you can continue globetrotting the world, taking 20 minute showers in showers with multiple shower heads, and snacking on food that traveled 6,000 miles to get to you. You still need to be a conscious consumer. Two studies make recommendations based on their research. We at Go Green Travel Green do not necessarily endorse these organizations. Clearly, carbon offsets are complex, and we haven’t even touched on some of deeper issues here (like the Kyoto Protocol and the Voluntary Carbon Standard). Grist A guide to offsetting your carbon emissions. Carbon Catalog – Location, whether the organization is non-profit, price, and a number of other criteria for 81 businesses. I’ve always been afraid to try Priceline, but this helps me sort it out. Obviously it can work! Looks like the only major trouble would be if you need to change plans. Thanks!